Your weight could be holding you back from enjoying life to the fullest. Obesity can take a physical and emotional toll that may be truly worrying to you and your family. 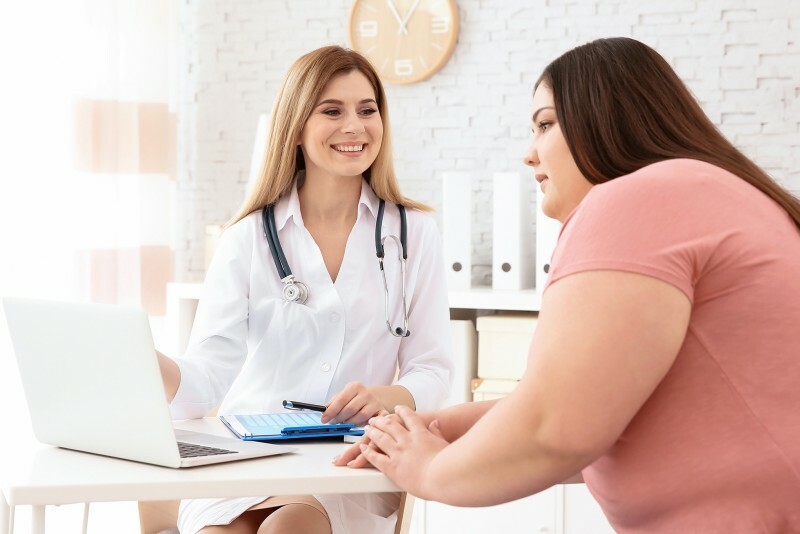 When left untreated, obesity can lead to heart disease, type II diabetes, and other chronic diseases.1 If dieting, exercise, and medicine alone haven’t worked for you, it may be time to consider an additional option. Surgery alone is not enough. You must follow the recommended changes from your healthcare team after surgery for you to make a lasting change. There are many ways to lose weight that you can explore with your doctor, such as changing your diet, exercising, medication, and surgery. If you’re considering surgery, your surgeon should discuss your options with you. Both sleeve gastrectomy and gastric bypass surgeries are almost always performed using minimally invasive techniques—either laparoscopic surgery or robotic-assisted surgery, possibly with da Vinci® technology.5 Surgeons perform minimally invasive laparoscopic or robotic-assisted surgeries through a few small incisions. To perform a laparoscopic bariatric surgery, surgeons use special long-handled tools while viewing magnified images from the laparoscope (camera) on a video screen. Surgeons can perform both sleeve gastrectomy and Roux-en-Y gastric bypass surgeries using robotic-assisted surgery with da Vinci technology. With da Vinci, your surgeon sits at a console next to you and operates using tiny instruments through a few small incisions. A camera provides a high-definition, 3D magnified view inside your body. 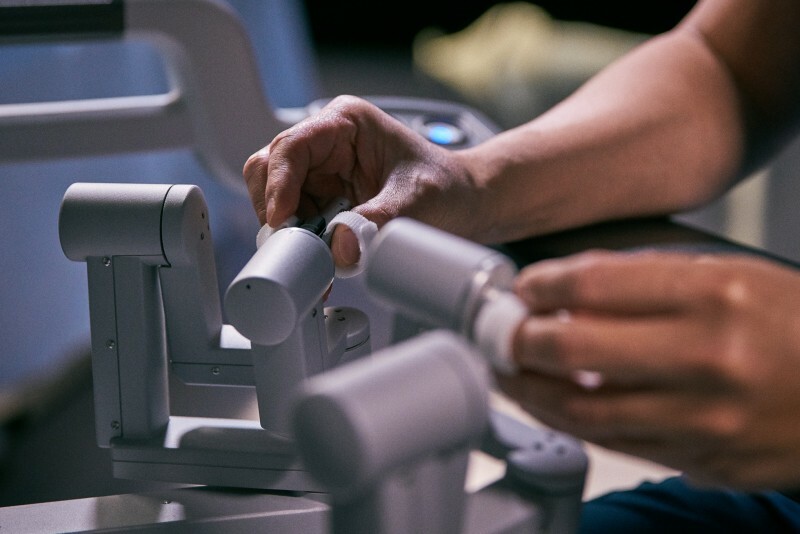 Every hand movement your surgeon makes is translated by the da Vinci System in real-time to bend and rotate the instruments with precision. All surgery involves risk. You can read more about associated risks of bariatric surgery here. What types of weight-loss surgery are available and which is best for me? What is the difference between laparoscopic and robotic-assisted surgery? What changes should I make after surgery? Ahmad, A., Carleton, J.D., Ahmad, Z.F. et al. Laparoscopic versus robotic-assisted Roux-en-Y gastric bypass: a retrospective, single-center study of early perioperative outcomes at a community hospital. Surg Endosc. 2016 Sep;30(9):3792-6. doi: 10.1007/s00464-015-4675-y. Ayloo, S., Roh, Y., Choudhury, N. Laparoscopic, hybrid, and totally robotic Roux-en-Y gastric bypass. J Robot Surg. 2016 Mar;10(1):41-7. doi: 10.1007/s11701-016-0559-y. Benizri, E.I., Renaud, M., Reibel, N. et al. Perioperative outcomes after totally robotic gastric bypass: a prospective nonrandomized controlled study. Am J Surg. 2013 Aug;206(2):145-51. doi: 10.1016/j.amjsurg.2012.07.049. Myers, S.R., McGuirl, J., Wang, J. Robot-assisted versus laparoscopic gastric bypass: comparison of short-term outcomes. Obes Surg. 2013 Apr;23(4):467-73. doi: 10.1007/s11695-012-0848-0. Smeenk, R.M., van 't Hof, G., Elsten, E. et al. The Results of 100 Robotic Versus 100 Laparoscopic Gastric Bypass Procedures: a Single High Volume Centre Experience. Obes Surg. 2016 Jun;26(6):1266-73. doi: 10.1007/s11695-015-1933-y. Stefanidis, D., Bailey, S.B., Kuwada, T. et al. Robotic gastric bypass may lead to fewer complications compared with laparoscopy. Surg Endosc. 2018 Feb;32(2):610-616. doi: 10.1007/s00464-017-5710-y. Wood, M.H., Kroll, J.J., Garretson, B. A comparison of outcomes between the traditional laparoscopic and totally robotic Roux-en-Y gastric bypass procedures. J Robot Surg. 2014 Mar;8(1):29-34. doi: 10.1007/s11701-013-0416-1. Buchs, N.C., Azagury, D.E., Pugin, F. et al. Roux-en-Y gastric bypass for super obese patients: what approach? Int J Med Robot. 2016 Jun;12(2):276-82. doi: 10.1002/rcs.1660. Buchs, N.C., Morel, P., Azagury, D.E. et al. Laparoscopic versus robotic Roux-en-Y gastric bypass: lessons and long-term follow-up learned from a large prospective monocentric study. Obes Surg. 2014 Dec;24(12):2031-9. doi: 10.1007/s11695-014-1335-6. Hagen, M.E., Pugin, F., Chassot G. et al. Reducing cost of surgery by avoiding complications: the model of robotic Roux-en-Y gastric bypass. Obes Surg. 2012 Jan;22(1):52-61. doi: 10.1007/s11695-011-0422-1.